Course Information 2 hours 30 minutes by car from central Tokyo. Laid on the picturesque West Nasu Highland, that is a very popular resort area for escaping from the heat in summer and for skiing in winter. 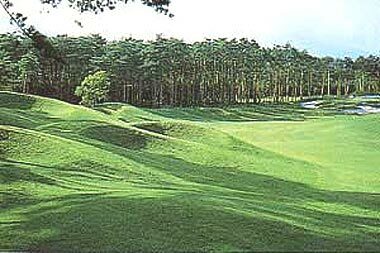 One of the genuine masterpieces of Robert von Hagge in his over 200 golf courses in the world. Highly challenging course even for proffesionals as it was evidenced in Japan Tour Championship in 2000 and 2002. It is an American type forest course features flat and spacious fairways lined by luxuriant red pine trees, some dog-leg holes, elevated large greens and lakes at 5th 9th and 11th. *Western style hotels are avalable in Shobara Onsen and Nikko.